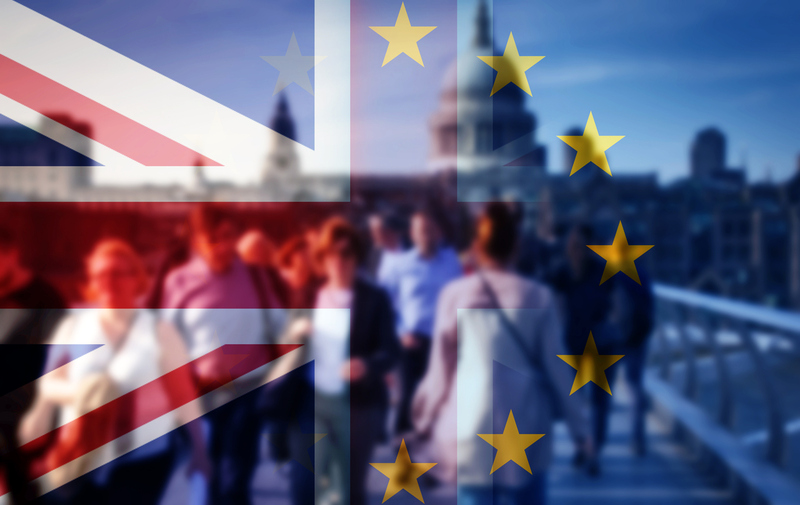 On 25 March 2019, the European Commission published a Notice to Stakeholders on the Withdrawal of the United Kingdom and EU Competition Law (Notice), containing guidance on the main implications of a no-deal Brexit scenario on competition enforcement and merger control. On 29 March 2017, the UK notified the European Council of its intention to leave the EU under Article 50 of the Treaty on the Functioning of the European Union (“TFEU”). Between March 2017 and March 2019, the UK and the EU have been negotiating a withdrawal agreement, the purpose of which is to manage the UK's departure from the UK on exit day. This exit day was due to be 29 March 2019. On 22 March 2019, the European Council decided, in agreement with the UK, that in the event that the withdrawal agreement between the UK and EU is approved by the UK House of Commons by 29 March 2019, the two-year period provided for in Article 50(3) of the TFEU would be extended until 22 May 2019. However, where the withdrawal agreement is not approved by the UK House of Commons by 29 March 2019, the two-year period would only be extended to 12 April 2019. In the latter case, all EU primary and secondary law will cease to apply to the UK from 13 April 2019, and the UK will become a “third country”. The Notice acknowledges the status of the UK exit negotiations, and that the deadline for the expiry of the two-year notice period of exit from the EU has been extended to at least 12 April 2019. The Notice deals with the areas of competition enforcement and merger control. In general terms, the Notice states that territorial application of EU competition law will continue to apply regardless of the nationality of an undertaking, the location of its headquarters or its country of incorporation. The Notice states that EU competition law will continue to cover conduct occurring outside the EU where it affects competition within the internal market, and confirms, as a consequence, that while the UK would become a third country following its withdrawal from the EU, it will remain subject to EU competition law if anticompetitive conduct is implemented or produces effects within the internal market. UK companies will therefore continue to be subject to EU competition law if anticompetitive conduct is implemented or produces effects within the internal market. However, the definition of the internal market will no longer include the UK. The Notice further provides that all Commission decisions taken under Articles 101 and 102 of the TFEU while the UK was a member of the EU will remain valid after the UK's exit, even though the UK will no longer be part of the internal market. Finally, the Notice confirms that the Commission will no longer be able to undertake on-site inspections in the UK under Article 20 of Regulation 1/2003 of 16 December 2002 on the implementation of the rules on competition laid down in Articles 101 and 102 of the Treaty. EU merger control is governed by the EU Merger Regulation 139/2004 of 20 January 2004 on the control of concentrations between undertakings (EUMR”), and the Notice states that this will continue to provide a 'one-stop-shop principle' under which Commission jurisdiction will result in EU Member State national authorities no longer being allowed to apply their national competition laws. However, since the UK would be considered a third country upon its exit, the Notice states that after UK’s exit it would be possible for both the Commission and UK competition authorities to be competent to review the same merger transaction in relation to EU and UK market impacts respectively. The Notice states that the EU merger control system applies regardless of the nationality or country of incorporation or where the headquarters of a company are located. Hence, the fact that the United Kingdom will become a third country following its withdrawal from the EU, will not have an impact on the applicability of the EUMR to UK companies when the jurisdictional criteria of the EUMR are fulfilled. The Notice contains transitional arrangements for EU merger control. After the exit day, the Commission notes that it will treat the date a transaction is agreed as the relevant point for jurisdiction cut-off. The relevant date for establishing EU jurisdiction is the date of the conclusion of the binding legal agreement, the announcement of a public bid or the acquisition of a controlling interest or the date of the first merger notification, whichever date is earlier. The Notice makes it clear that these rules are not altered by the UK's exit, and if any of the relevant transaction events takes place prior to exit day, the Commission will assess whether the jurisdictional test of the EUMR is met on the date of that event. If the relevant date occurs after the UK exit day, the Commission will no longer be able to take account of the UK-turnover involved. Following its exit, the UK will also no longer be able to refer cases to the Commission, or join referral requests under Article 22 of the EUMR. The Commission will therefore only have jurisdiction under Article 22 if it has decided on a UK submission, or is deemed to have decided on a UK referral submission, by exit day. Where the Commission has made a decision on an Article 22 referral by exit day, the Commission will continue to have jurisdiction after exit day. The Commission will no longer be able to carry out inspections in the UK under Article 13 of the EUMR. However, the Commission will be able to request information from UK companies under Article 11 of the EUMR. The Notice clarifies that all Commission decisions under the EUMR (including decisions imposing conditions and obligations) will remain valid after the UK exits the EU. Regarding pre-exit day merger commitments made by UK companies to the Commission, parties may after the exit day request the Commission to waive, modify or substitute certain commitments under the standard review clause that is typically contained in such commitments. The Notice makes it clear that these requests may be considered where the commitments address competition issues in UK markets only, or markets between the United Kingdom and a third country. Where an EU Member State has made a submission prior to the exit date under Article 4(5) of the EUMR seeking to have a case handled by the Commission which would otherwise have been subject to investigation by the national competition authorities (NCAs) in at least three Member States, and where one of the three relevant jurisdictions is the UK, the Commission will still have jurisdiction to review the transaction if the 15 working-day period that the NCAs have to object has elapsed without a Member State expressing its disagreement. After UK exit, the fact a concentration is capable of being reviewed in the UK will no longer be relevant for EU merger purposes.